Can you believe January is already past us? Wasn’t it just Christmas and NY? I must say that I have had several new experiences in that short month. I finally tried my hand at the ATV! And it was awesomeness! I have always seen people doing it on telly and thought it was so cool. You see, I have always fantasized myself as a biker chick. The word here is ‘fantasized’. I have never gone to score myself a bike licence, because I thought riding in Singapore is no fun- dust, ungracious drivers, ERPs! But whenever I see people riding in Bali on their scooters or Italy on their Vespas, I wish I could be them. So this upcoming trip to Italy, I am gonna get on a Vespa somewhat. Ok I digressed. Anyway, the ATV, or all-terrain vehicle, is usually rode on rough terrain, duh. 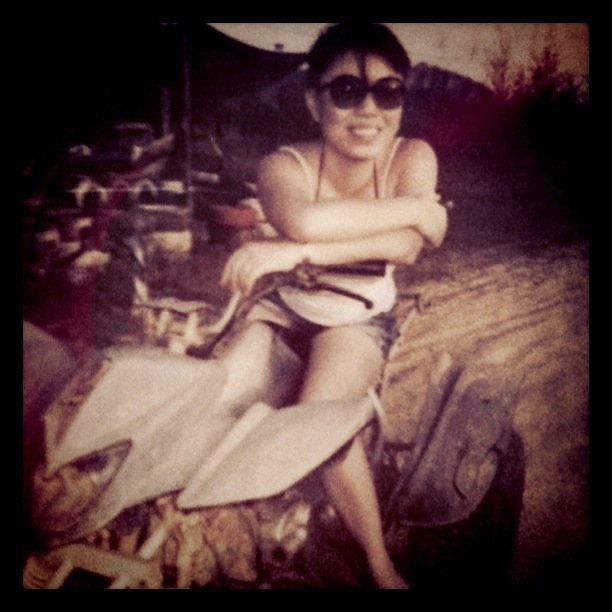 I rode one in Krabi and it was so much fun. You go through a few training laps, learn to control the beast and then you are all set and ready! It works like a bike, except since it is built to ride through bumps and potholes, you ride into a jungle of sorts with uphills and dips, with leaves from nearby brushing your face. Sometimes you need to lower your head to avoid colliding with the branches sticking out. Of course, for the ‘full set’ of experience, the sand blowing into your face haha. I feel like Lara Croft! So anyone heading to Thailand next, should really really try this.